This automotive reference design demonstrates a unique approach for media ports that require data transfers. This design has the capability to support USB 2.0 through a 15-W USB Type-C™ port. Customers can accelerate their media port systems by taking advantage of a complete reference design comprising analog AEC-Q100 qualified integrated circuits (ICs) which are CISPR-25 class-5 tested. This reference design minimizes development efforts through a flexible, passive solution that allows the system to role swap with a head unit and to charge both USB Type-C and legacy devices with a small 1x2-in solution. 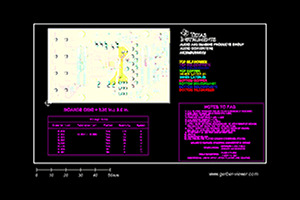 Small solution size based on typical media interface board dimensions of 1" x 2"